It is not often that I give an unscented product the top score, but that is exactly what I am giving the Beardster Original Beard Butter! It is not like most beard butters, it is firmer than that and did give a nice hold to my beard, the beard butter is smooth and soft and even though it is unscented, you still obviously get the scent of the ingredients which is a blend of Mango Seed Butter, Shea Butter, Avocado Butter, Coconut Oil, Rice Bran Oil, Aloe Vera Butter, Styrax benzoin Gum Oil, Vit E & Sunflower Seed oil. 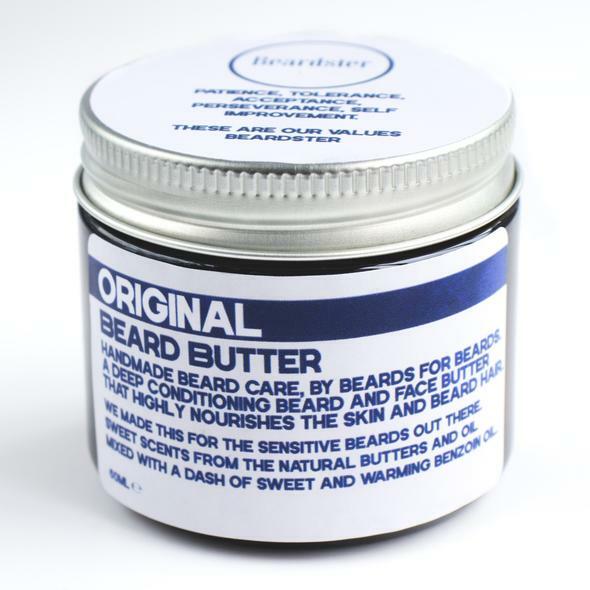 Small batch, handmade natural beard care can be pricey but the Beardster Original Beard Butter is £10 for 60ml from the website and comes in a glass jar with a screw lid. So all in all this is a product that is begging to be bought and I also highly recommend their Chai Lemon scented beard butter. ← Top 5 Beard Oils You Should Buy!